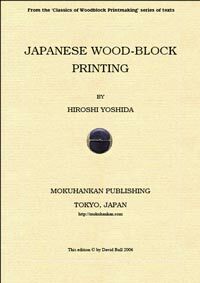 A few types of eBook are available from Mokuhankan: reprints of out-of-print traditional books on the making of woodblock prints, editions of David's own general interest publications (essay and print collections), and David's new RichMedia eBook on how to make 'Your First Print'. 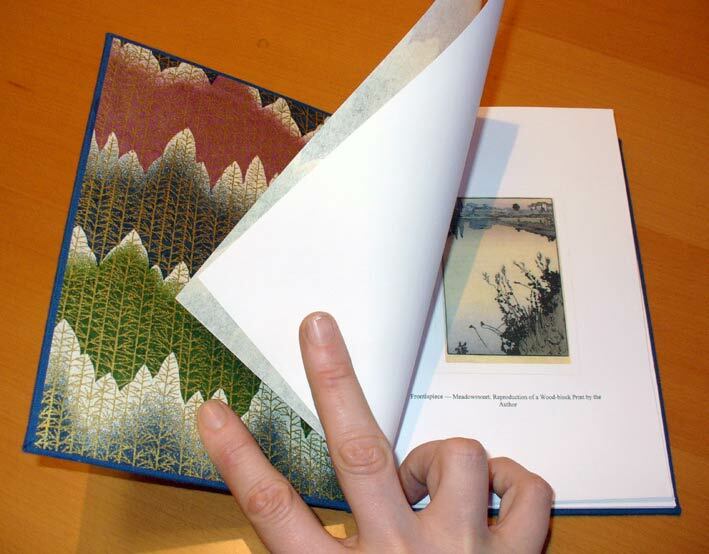 In the many years since the 'Library of Books on Printmaking' went online on my woodblock.com website, many thousands of people have made use of the material in it (reproductions of out-of-print books on woodblock printmaking). A perusal of the site logbooks provides all the evidence necessary to come to the conclusion that the work done to scan and upload those books was worthwhile. The eBooks now being included in the Mokuhankan catalogue are an extension of that effort, moving beyond simple HTML formatted webpages, to bring the content of those volumes to readers in a very easy-to-use unified and portable format. Mokuhankan eBooks are issued in the standard pdf (Portable Document Format) style, and can be viewed on a computer screen, in a portable reader, or of course printed out onto paper. For viewing the books, free software such as the Adobe Acrobat Reader, or the Mac OSX Preview is necessary. (Note: the RichMedia eBook is a special case, and there is a page here describing it.) Where appropriate, the eBooks contain a complete set of 'bookmarks', allowing you to jump directly to any section of the book that you wish to read. In addition to these bookmarks, the Table of Contents within each volume itself is also 'hot' - clicking on any item will jump you to the corresponding page. To provide even deeper access to the information presented, the complete text is accessible with the 'search' function of your pdf reader. This will put them side by side, as in this image, and when you use your Page Down key, the next spread will jump straight into view, with no distracting scrolling. Combined with the convenience of the internal linking, reading this way is better than having the original book! It is important to note that the full content of these eBooks remains on-line on the website, where it can be browsed and read at no cost. I believe that access to the content should remain open for all. Why then, would anybody pay for one of these eBooks? Mostly because they are far more convenient than reading in a browser. These are books; you can start at page one, and read in a normal fashion, but with the extra convenience of having the searching and internal linking to assist you. They are attractively produced, and a pleasure to read. And - of course! - you help compensate me for the work I have done to create all this stuff! 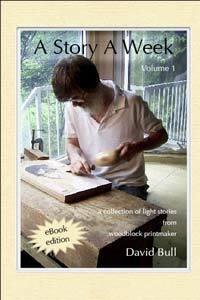 I have prepared a couple of sample books, each containing a number of pages chosen from one of the eBooks: one from Hiroshi Yoshida's 'Japanese Wood-Block Printing', and one from a 'Story A Week' collection. This will allow you to check the quality/appearance of the eBooks, and to confirm that you are actually able to download them without problems. Note 1: It seems that some people are worried about getting downloads from 'untrusted' sources. Does that include me? :-) If you would like to see this Mokuhankan eBook sample, but do not wish to click a 'Download' link, please use the contact link at the bottom of this page to write and request that one be sent by email instead. Note 2: People have been downloading these and then printing them out for more traditional reading. See some samples on this post of the Mokuhankan Conversations. Note 3: A sample download of my new Rich Media eBook can be found on a separate page.